OWSP teams with medical conference – One World Sight Project, Inc.
NEWPORT BEACH , CA, August 11, 2005 – OWSP Founder Richard Weiss, MD, announced today that the organization will team with the conference Botox, Blephs & LASIK: Elective Ophthalmic & Skin Rejuvenation Procedures to help benefit the non-profit organization. Ophthalmologists, dermatologists, oculoplastic and plastic surgeons as well as optometrists and RNs are invited to attend the conference. A tax-deductible donation of $100 will apply for all new registrations after August 10 th. According to Dr. Weiss, “We are guaranteed to cure blindness in at least 80 people in Tanzania and Tibet with this program. Just one registration to the conference can cure two people of potential blindness due to cataracts. To provide sight to many of the world’s backlog of 25 million curable blind people is a daunting task but we can help with fundraising opportunities like this one”. Dr. Weiss will also hold a “Curing Blindness Day” on Thursday, August 18 with Botox Cosmetic® product donated by Allergan Inc. Dr. Weiss will inject patients for a $100 donation with all of the profits going directly to benefit the One World Sight Project. Dr. Weiss is attempting to fund surgery for 100 people through the event. Space is limited, so if you are interested, please RSVP promptly to Jana at 949-720-1400 and make checks payable to One World Sight Project, Inc (a 501.c3 tax deductible charity). For those not able to attend the event but who wish to participate, each $50 donation will cure a person of blindness. Mail checks to Weiss Cosmetic & Laser Vision Procedures, 360 San Miguel Road, Suite 403, Newport Beach, CA 92660. 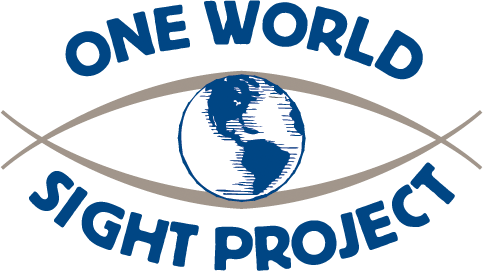 More information on the One World Sight Project is available at www.owsp.org. There are approximately 25 million people in the world who are needlessly blind from bilateral cataracts and who could be permanently cured by a simple operation that can sometimes be performed in less than 20 minutes. There are an additional 1-1.5 million cases of new blindness developing each year. In other words, despite the best efforts of the world’s eye care organizations at current funding levels, the world is slowly becoming more blind. Without major public health measures in developing countries, the number of blind people in the world will double in the next five years. • To fund and encourage new initiatives for the ultimate establishment of independent, effective, sustainable national ophthalmic health care delivery systems in all nations by working closely with the Blindness Prevention Program of the World Health Organization and the International Agency or the Prevention of Blindness.